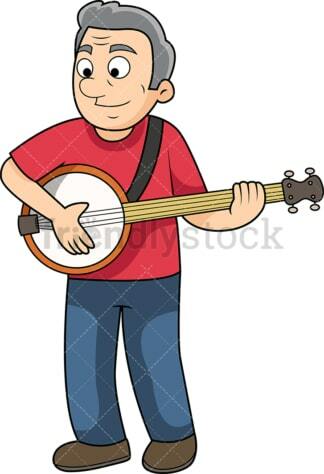 Royalty-free stock illustration of an old man wearing blue jeans and a red t-shirt, standing up to play the banjo. Royalty-free stock illustration of an old man wearing brown pants and a blue t-shirt, using his mouth to play a song on his harmonica. 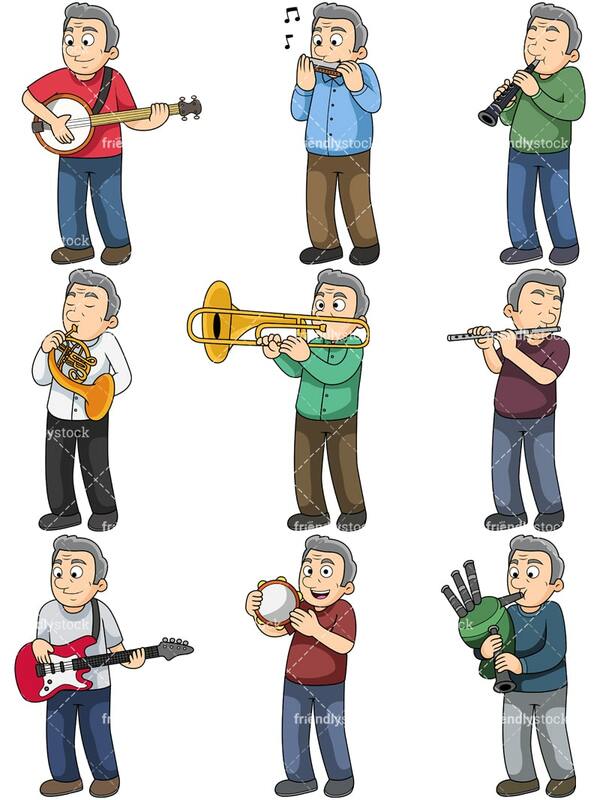 Royalty-free stock illustration of an old man wearing blue jeans and a green t-shirt, standing up to play the clarinet. 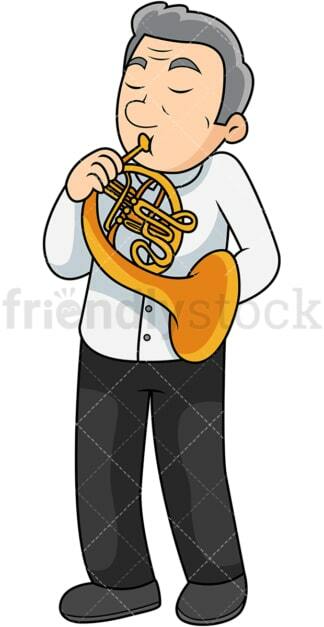 Royalty-free stock illustration of an old man wearing dark pants and a formal white t-shirt, standing up to play the French horn while keeping his eyes closed. Royalty-free stock illustration of an old man wearing brown pants and a petrol t-shirt, standing up as he plays the trombone. 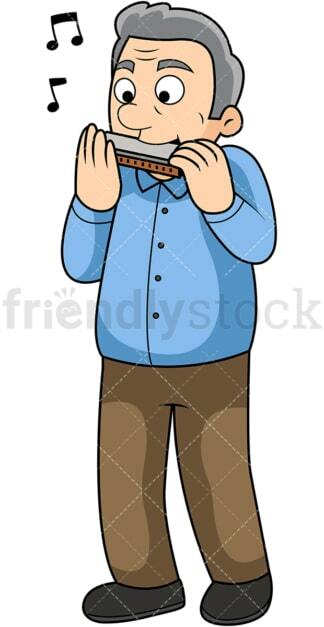 Royalty-free stock illustration of an old man wearing casual clothes and closing his eyes as he plays a melody on the flute. 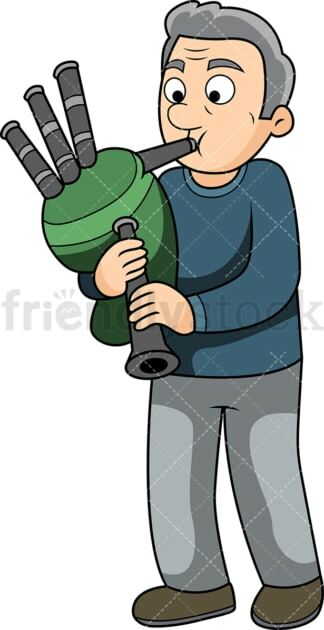 Royalty-free stock illustration of an old man wearing casual clothes and standing up as he plays bagpipes. Royalty-free stock illustration of a casually dressed old man looking happy while standing up to play the tambourine. Royalty-free stock illustration of an old man smiling as he is standing up to play the bass.